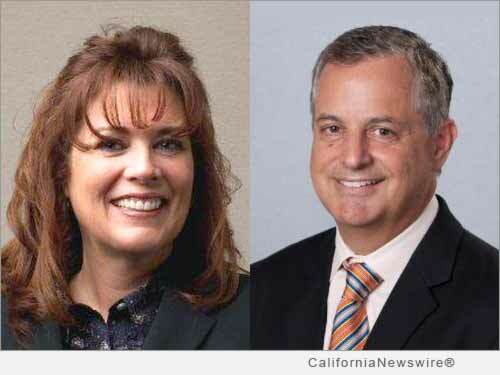 Home CA Business Tammy DeWitt and Tom Welch Join Bank of Southern California N.A. Tammy DeWitt and Tom Welch Join Bank of Southern California N.A. SAN DIEGO, Calif. /California Newswire/ — Bank of Southern California, N.A. (OTCQB:FBBN / OTCMKTS:FBBN) welcomes Tom Welch as Senior Vice President, SBA Department Manager and Tammy DeWitt as Vice President, SBA Loan Underwriting Manager to its seasoned team of Southern California bankers. Both Mr. Welch and Ms. Dewitt have been in the banking industry for 37 years and both have over 27 years of SBA and conventional lending and relationship management experience. Welch and DeWitt were most recently with Pacific Commerce Bank in similar positions. "For the past four years Bank of Southern California has been recognized as a top performing SBA and small business lender by the San Diego District office of the U.S. Small Business Administration and several other bank ranking companies. The addition of Tom Welch and Tammy DeWitt enhances our commitment in meeting the financial needs of businesses in Southern California," commented Nathan Rogge, CEO of Bank of Southern California. "We are pleased that Tom and Tammy have joined our team. They are seasoned bankers who are highly respected in our industry, and I am excited to be working closely with them as we continue to expand our organization," concluded Mr. Rogge. A community bank, established in 2001, Bank of Southern California, N.A., with headquarters in San Diego, Calif., is locally owned and managed and offers a wide range of financial products to individuals, professionals, and small to mid-sized businesses. The Bank's solution-driven, relationship-based approach to banking provides accessibility to decision makers and enhances value through strong partnerships with their clients. With seven offices in San Diego County and the Coachella Valley in Riverside County, Bank of Southern California remains well-capitalized, with a growing deposit base and loan portfolio. For more information, visit http://www.banksocal.com/ or call (858) 847-4780.